nights are the hardest. they pull me apart. i turn into just pieces of me. they don’t quite fit back together without you. i feel you from here. i feel you in my thoughts and dreams. i feel you in the quiet and the steady and the gentleness of my loneliness. and then i feel you fast and strong, in the whirlwind of my days and the noisy, rustling wind that stirs outside my window and the ticking in the ceiling that has no cause or source. i know you think and dream and feel me too. but life is just so much sweeter when i’m with you. 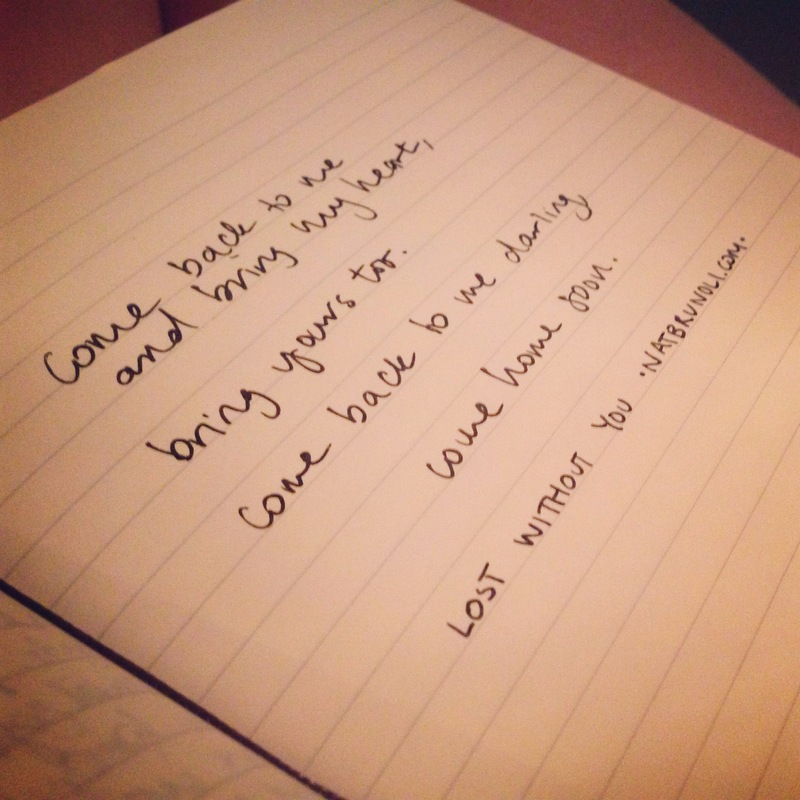 so come back to me and bring my heart, bring yours too. come back to me darling, come home soon. no more airport goodbyes, no more last nights or mornings or meals or drives. just this next time to last us forever. yeah, that’d be just fine. it’s okay to be vulnerable, he said. a loving conviction that cut through bone and brick and beat into my heart in an instant of knowing and crumbling. so i crumbled into his chest and made his skin all wet with the saltiness of undoing and the emptying of ego. i breathed staccato breaths and buried my worry in blinks and swallows as he held me tight and pressed his kisses to my forehead. i need you holding me tonight. as i fall a little apart. i rub the feeling between my fingers, closed eyes, and i remember. …i need you holding me forever.